Student centered instruction is a pedagogical approach to teaching that emphasizes critical thinking and the importance of active engagement of learners in the classroom. This approach shifts attention from teacher’s “performance” to students’ activity in class. The aim is to motivate students and to create lessons that empower pupils to be self-directed learners. Student focused instruction requires that teachers are facilitators of learning instead of being dispensers of information. The focus of the first part in this training will be on the theoretical foundations of student centered learning. Participants will consider the scholars whose work initiated and grounded this approach and learn the research that supports the student-centered instruction, with particular emphasis on constructivism and the conceptual change theory of learning in mathematics and science. Examples will be provided to show how innovative teaching strategies and group work are implemented along with more traditional pedagogies that include lectures and whole-group instructions. Workshop activities will provide hands-on opportunities, including laboratory activities, for participants to explore and engage in practical aspects of student-centered instruction in mathematics and science. Special emphasis will be placed on developing classroom discourse management skills. Classroom discourse – building a classroom community, seeding, board meetings, etc. The potential of humans to learn from experience is undisputed, but schooling too often fails to strategically incorporate experiences with direct instruction in classroom settings. From the early work of John Dewey to contemporary research on embodied learning, the field of experiential education shows exciting potential for classroom teachers in the twenty-first century. Reflection is a critical aspect of experiential education, which involves purposeful and thoughtful analysis of those experiences. In the first part of the training, teachers will learn about theories that emphasize on experience in education. They will learn and practice a method for reflection that complements the experiential approach to learning. The presenter has spent many years refining the form of “critical incident” reflection that supports and extends learning from experience. It has been adopted in traditional classroom settings and in service learning and practicum settings. It is a strategy that can be used by teachers to improve their own professional skills. Teachers may also introduce critical incident reflection to their students in a variety of subjects and settings. The study of civics, humanities, history and the social sciences are integrated by tradition in American public schools into content that is called “social studies.” This workshop will provide an introduction to this curriculum content and the pedagogical approaches that are associated with this subject in the United States. Because of its integrative nature and the political aspects of its origins and its methodologies, social studies courses are unique among public school subjects in this country. In the second part of the training, foreign teachers will gain a better understanding of the common foundations and assumptions in social studies classes, which are required for students at every grade level. International students who come to the United States for college usually find that their classmates who have been educated in the United States are familiar with certain strategies, including cooperative learning, debate, seminar discussions, research and projects, for which they have cultivated skills in pre-college social studies classes. Teachers who help prepare students for studying abroad in the United States will benefit from the introduction to these practices and pedagogies associated with social studies in this country. This module is designed to help participants diversify their teaching strategies by implementing various methods of teaching that are applicable across subject areas and in varying teaching situations. Participants will explore the teacher/student dynamic and learn how to engage classroom learners by preparing and implementing active-learning, student-centered instructional strategies. They will demonstrate new teaching techniques to their peers and receive helpful, constructive feedback. This module is intended to help teachers from other countries refine their skills in academic writing through informal and formal writing practices. Effective writing begins at the sentence-level; thus, various sentence-level writing strategies will be introduced, which will enable participants to write clearly and concisely in formal, academic style. Helpful strategies for vocabulary building will also be examined since words are important tools of writing. Writing process is a major emphasis in this course. Participants will practice various strategies for generating ideas and for organizing, drafting, and revising papers. Peer response is an integral part of this emphasis in process and is intended to help writers recognize their patterns of errors and to provide them with information about the effects of their authorial decisions on readers. Substantive revision following peer and instructor response will provide them with the opportunity to look critically at their writings. This module is designed to help teachers from other countries improve American pronunciation skills and fluency. All aspects of pronunciation will be covered from individual sounds to intonation, rhythm, and stress: Participants will examine meaning changes through intonation, use of reductions/deletions, proper stress on polysyllabic words, and sentential stress and rhythm. Through classroom practice, group work, and individual coaching, participants will work towards proper standard American pronunciation. For more information of this program, please contact us at: info@usgei.org. 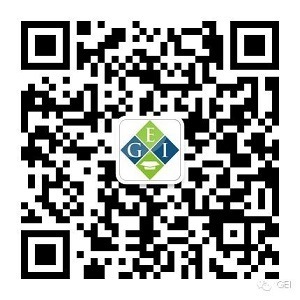 Global Education Institute (GEI) is an international organization with offices strategically located in the United States and China. GEI has headquarters both in Chapel Hill, North Carolina, USA and in Shanghai, China; two communities are internationally respected for offering the best educational opportunities of their respective nations. GEI is able to utilize the leading educational resources of every nation for academic enrichment and cross-cultural education through collaboration with universities, research organizations, educational institutes, government entities, scholars and students. GEI‘s mission is to build synthesis and attain educational success by sharing these resources with practitioners, scholars and students from throughout the world. The GEI language center is authorized under Federal Law to enroll non-immigrant students.